A stretch of Crenshaw Boulevard that has been closed for much of the past month due to construction on the Crenshaw/LAX rail line will need to be closed for another week, due to rain delays in the work, Metro announced. Crenshaw Boulevard between Rodeo Road and the Metro Expo Line tracks will be closed from 9 p.m. Jan. 4 to 6 a.m. Jan. 12 to accommodate work on an underground station for the line, according to Metro. 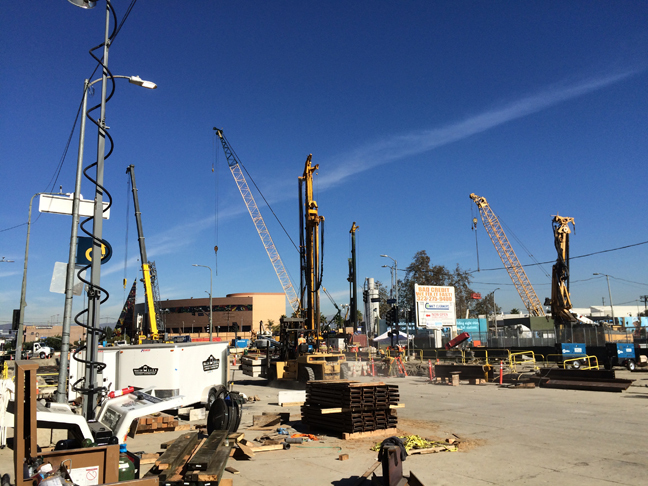 Excavation, installation of steel beams and installation of concrete planks is 90 percent complete at the station, with the remaining work planned immediately south of the Expo Line tracks. The station is the first of three underground stations that will be built for the line. One will be at Crenshaw and Martin Luther King boulevards and another at Crenshaw and Vernon Avenue. Four additional stations will be at street level. The $2 billion, 8.5-mile Crenshaw/LAX line will connect the Metro Expo and Green lines. It is expected to open in 2019.